It doesn’t matter what month it is, for us the summer lasts the whole year round. We carry it within us always, we don’t need the calendar. And, with a bottle of Bravo juice beside us, that wave of freshness and summer tastes, it’s no wonder we brought a beach to the city centre. There’s summer hiding in every one of us. It follows our every step and waits to unleash its full power. A sip of a fruity freshness from Bravo juices is all that is necessary for this force of nature to explode inside of those who dare taste it. We took a sip and it gave us the idea for a campaign coloured with freshness of summertime and exotic tropical destinations. 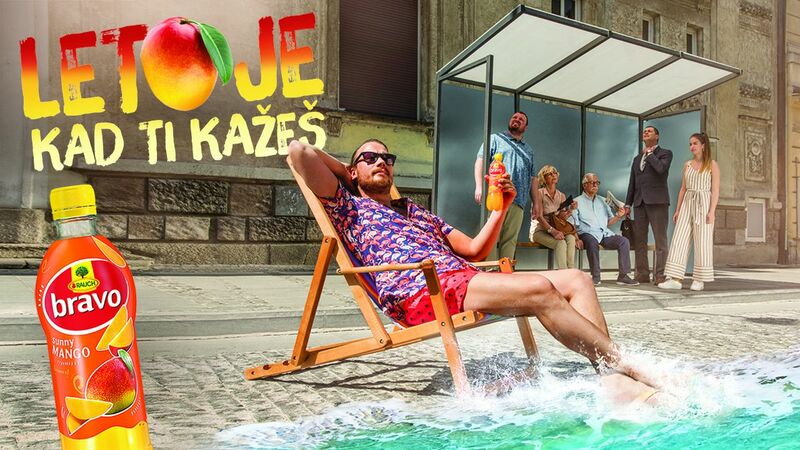 Using a video commercial, which brought the beach to the heart of the hectic city, and a digital campaign, we showed people that the summer is when they say it is.